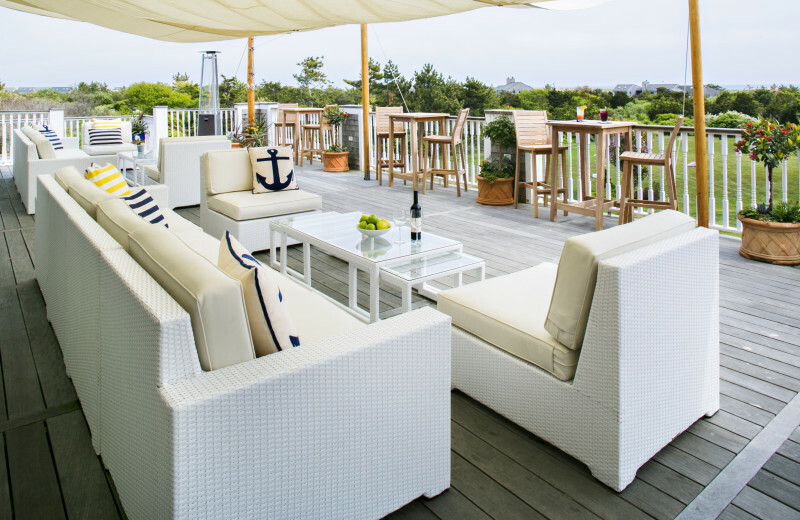 Experience authentic, upscale New England at Winnetu Oceanside Resort on breathtaking Martha's Vineyard. 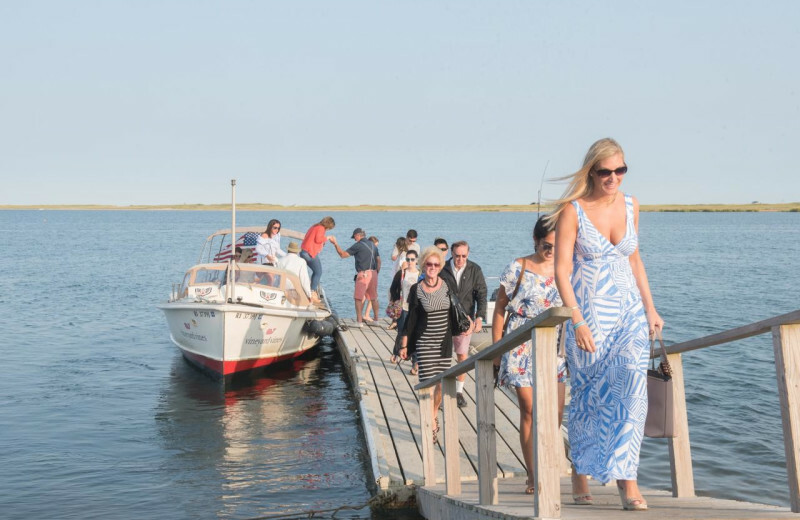 Steeped in centuries-old history, this charming East Coast resort–once a WWII naval air and sea base, and the site of an 1800s railroad beach stop–has grown to be a modern day escape from the hectic mainland. 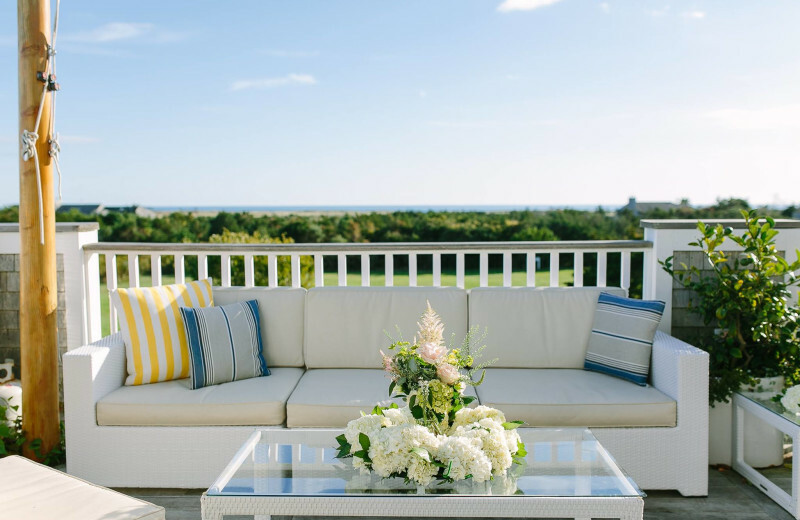 Located on the largest New England island, Winnetu encompasses stately hotel studios, suites, and vacation rentals that reflect the Vineyard's celebrated shingle-style architecture. 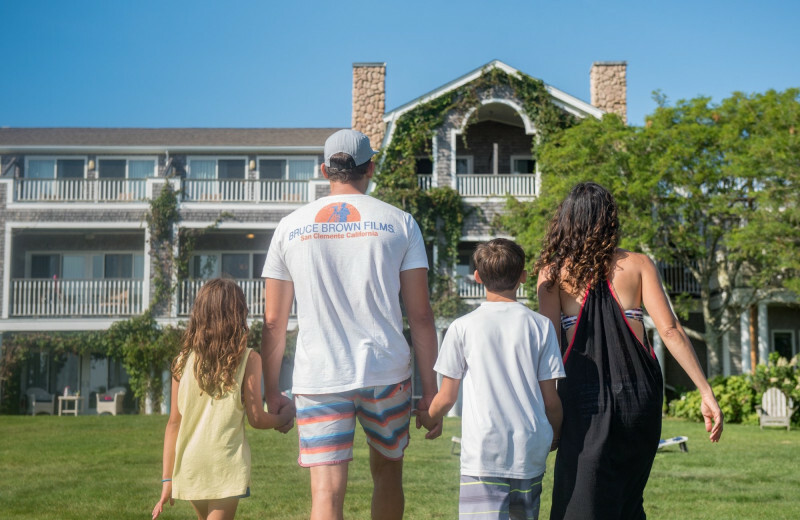 Both families and couples will feel completely comforted with the resort's warm hospitality and ample, yet unpretentious, luxuries. 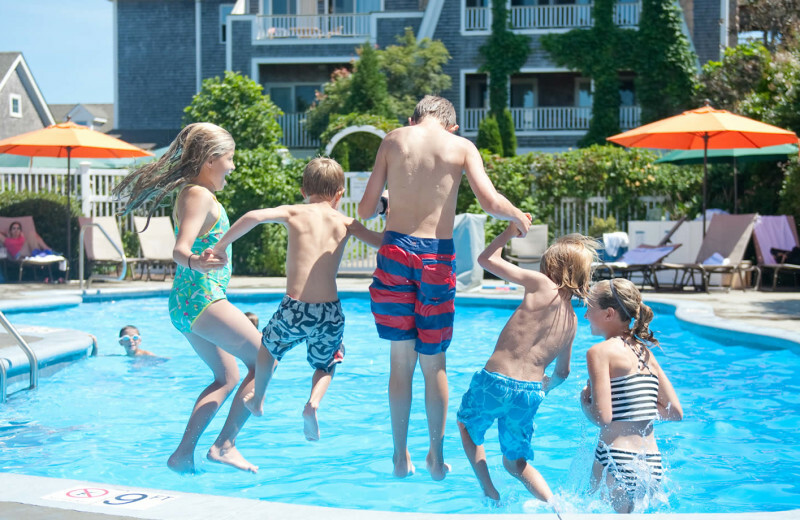 Sparkling pools, private beach pathways, satisfying seasonal cuisine, and enticing coastal surroundings; let your "ferry tale" begin at Winnetu Oceanside Resort. 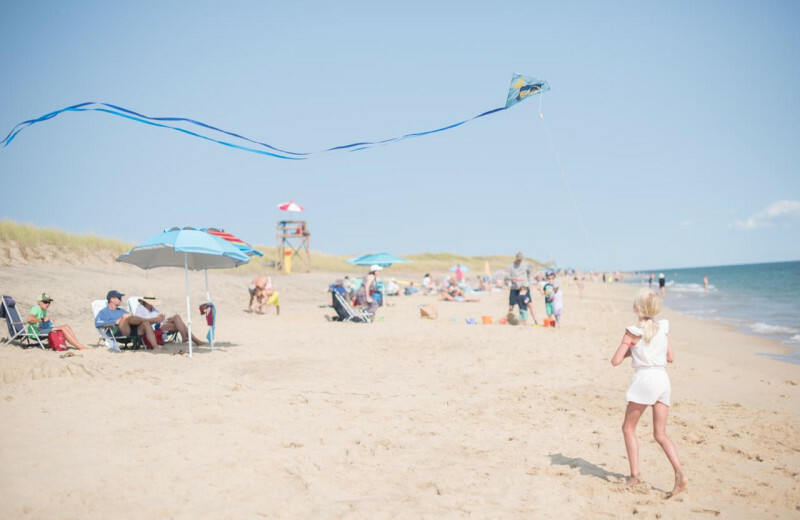 Winnetu Oceanside Resort's location at South Beach in Edgartown is more than your typical beach setting. 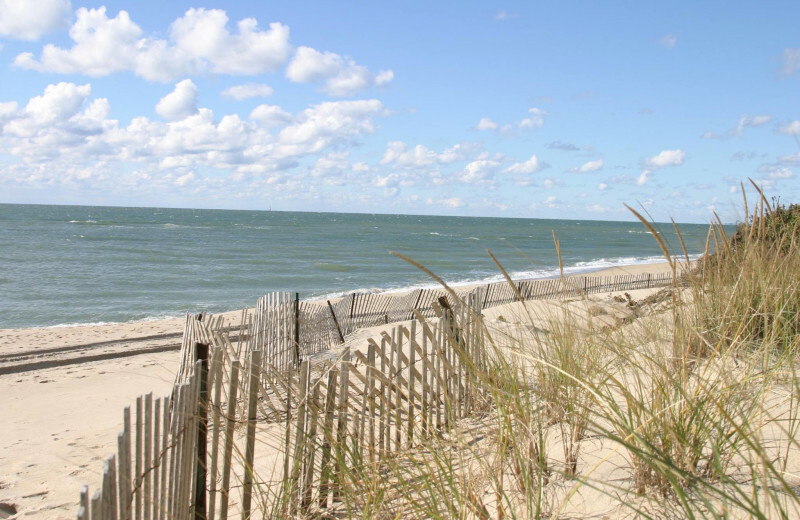 Private footpaths snake through the coastal dunes and open up to a serene sandy coastline–a perfect sunbathing and whale watching spot. 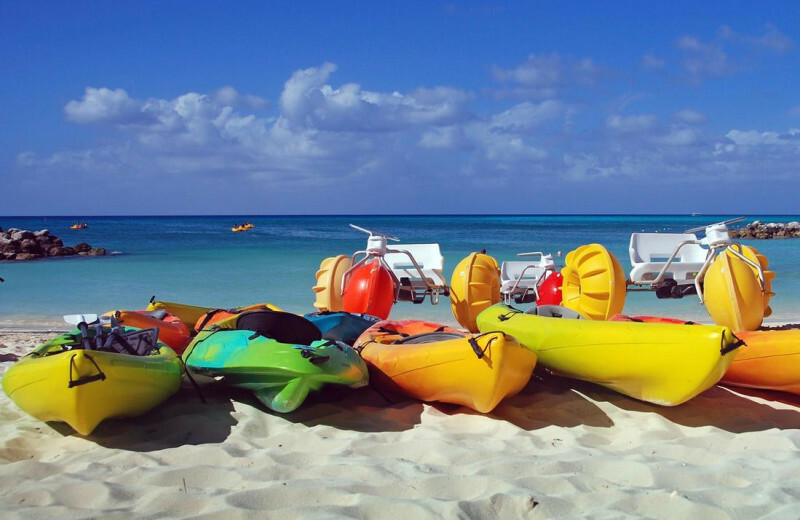 Deep sea fishing excursions can also be set up at the resort. 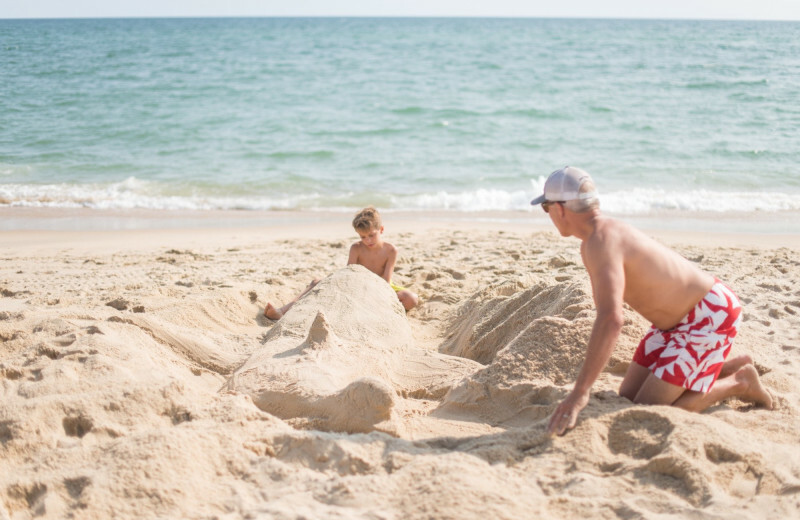 Bring your family to Winnetu Oceanside Resort for a no-hassle Martha's Vineyard summer vacation. 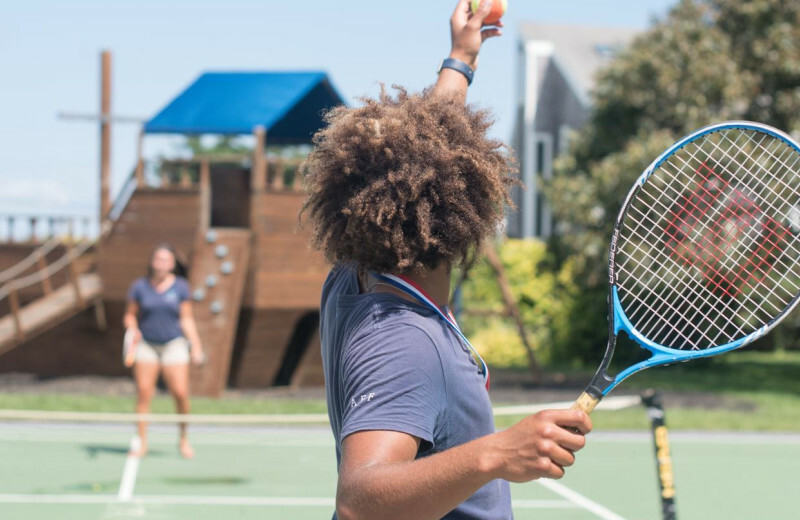 Day-long toddler, children, and teen programs, activities at the pro tennis club, and island bike paths, there's something here for every age. 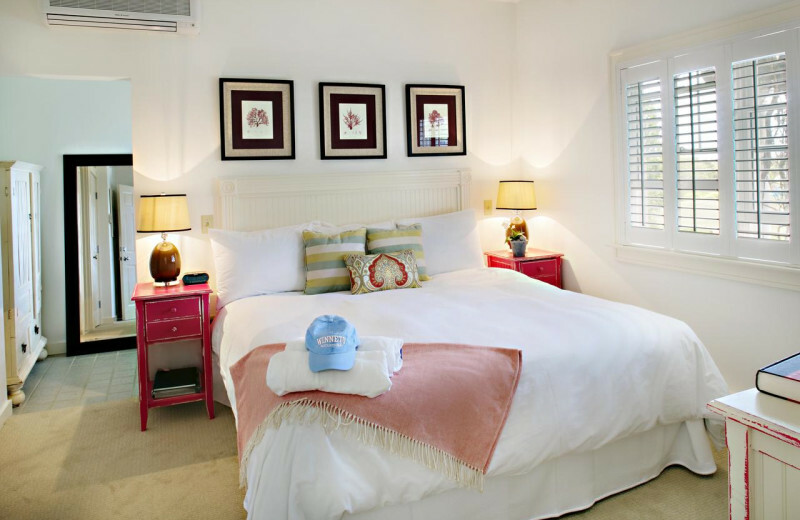 And the one to four-bedroom accommodations guarantee a comfortable stay. 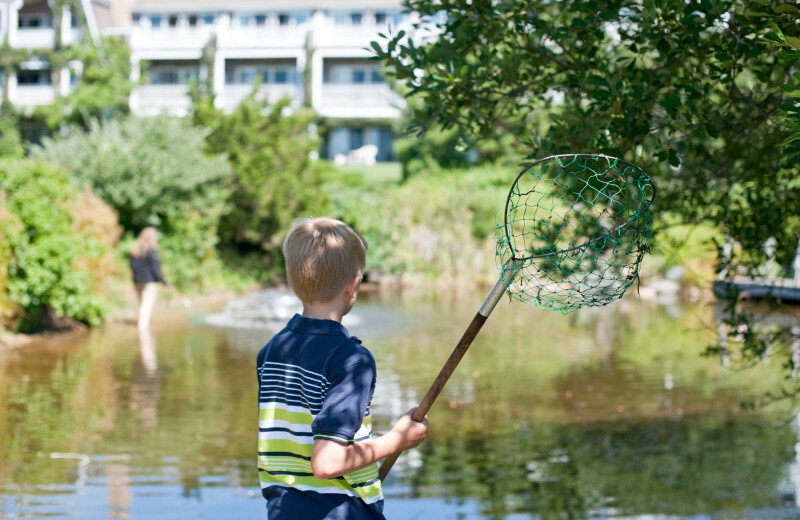 There are nearly a dozen gorgeous golf courses within minutes of Winnetu Oceanfront Resort. 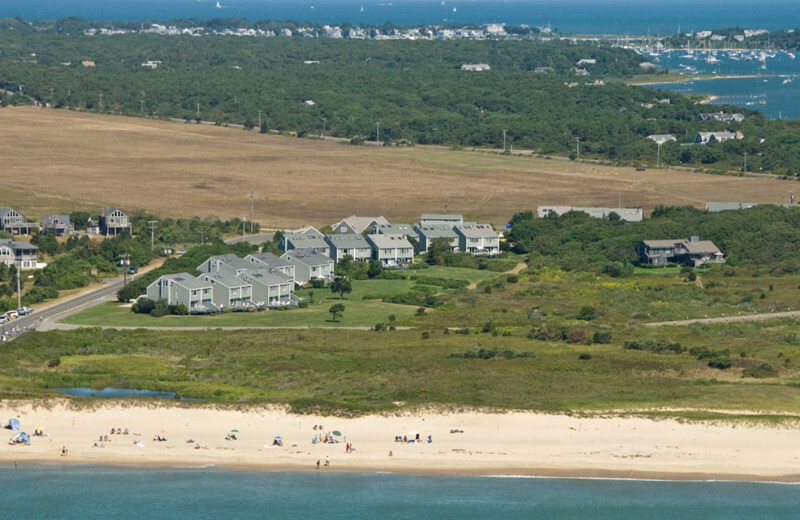 A trip should be made to the truly unique Royal and Ancient Chappaquiddick Links on Chappaquiddick Island, a small course with breathtaking ocean views and loads of charm! 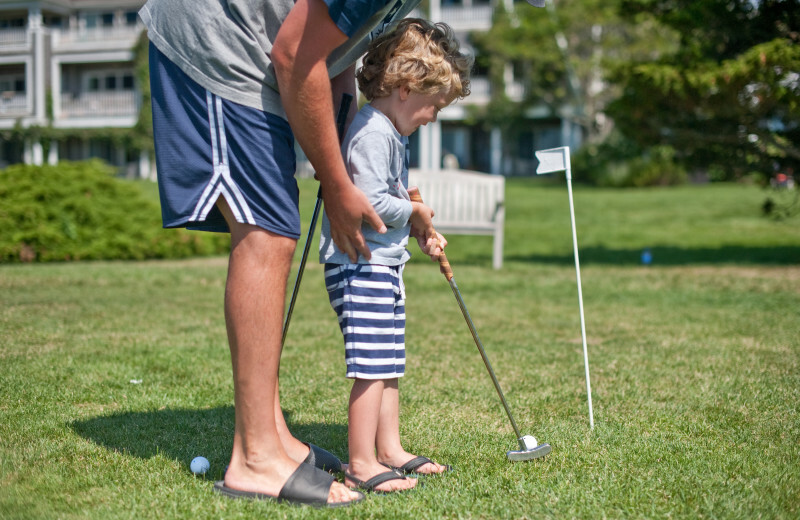 Nearby Edgartown Golf Club is a more "traditional-style" course, but has sweeping hillside and ocean views as well as pristine greens! 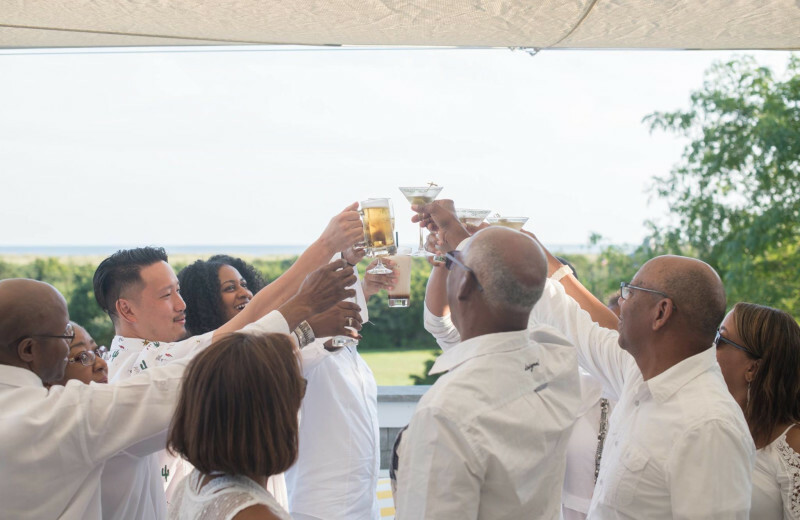 Winnetu Oceanside Resort can easily entertain groups of up to 145 guests. 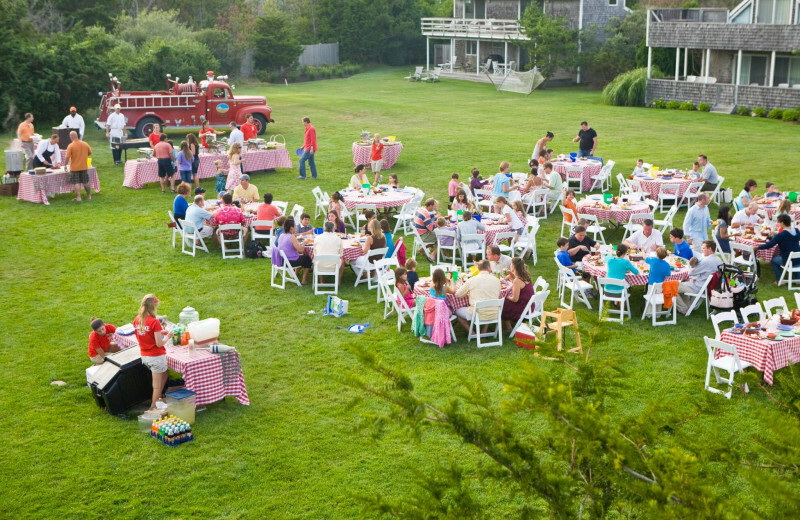 Winnetu's dedicated team guarantees a successful event, and a quintessential Martha's Vineyard experience. 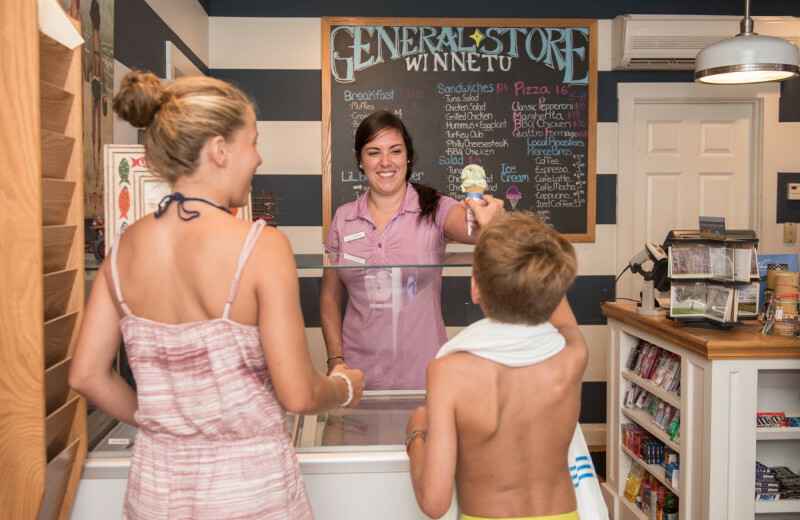 If you're looking for a refreshing and relaxing change of pace from the hectic and stressful business environment, Winnetu has all the goods! 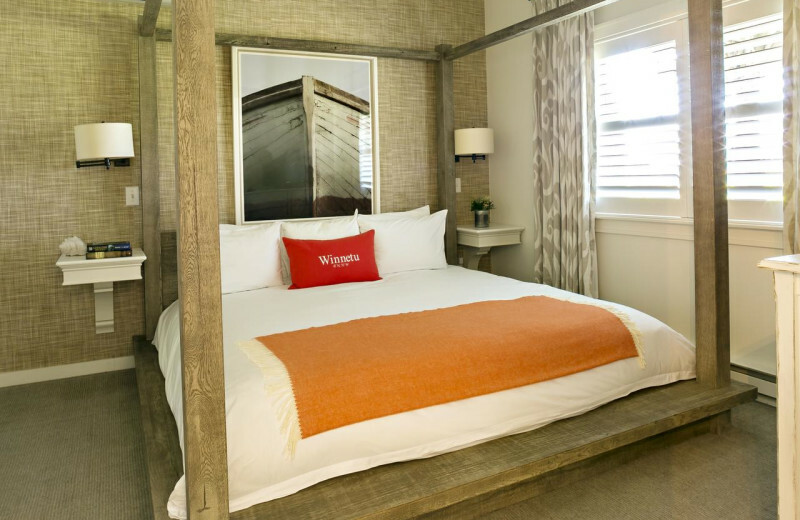 Winnetu offers comfortable accommodations with private decks, and two spacious VIP cottages for executive entertainment. 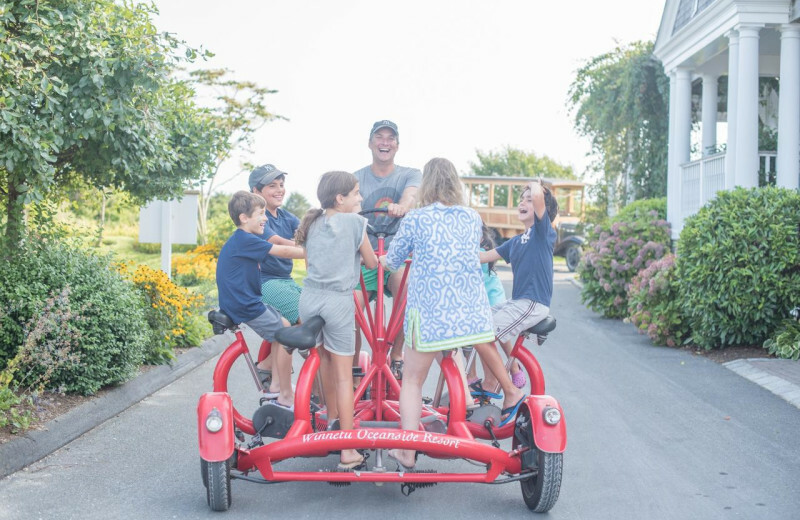 Winnetu Oceanfront Resort is located on fun-filled, action-packed South Beach, with easy access to downtown Edgartown via the bike path or complimentary shuttle. 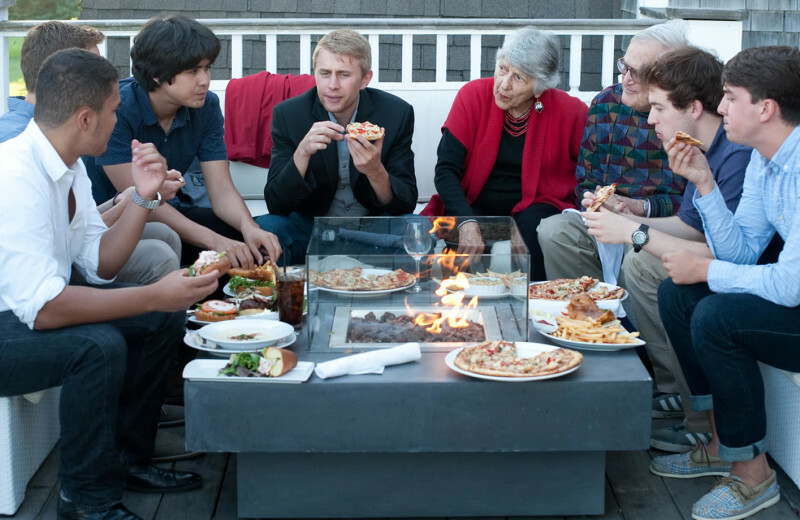 Winnetu's team helps plan memorable events, regardless of interest or age group. 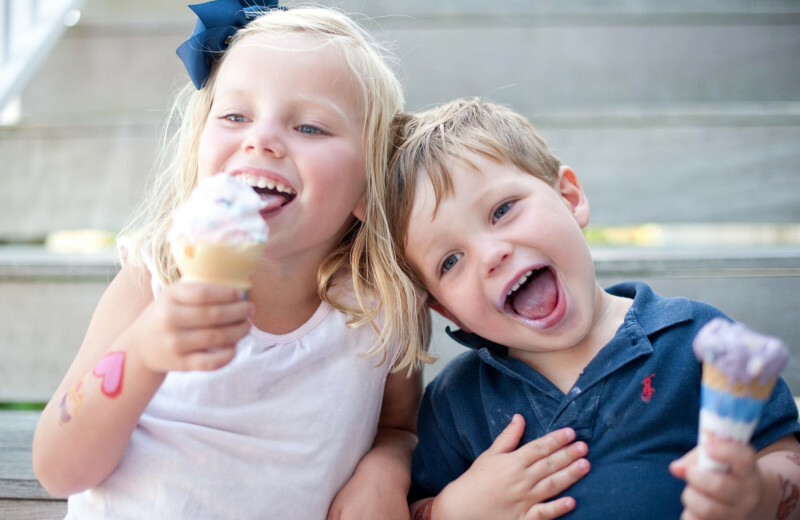 Your family reunion will love the area's ample dining, sightseeing, and outdoor activities. The little ones can also sign up for the Children’s Day Program! 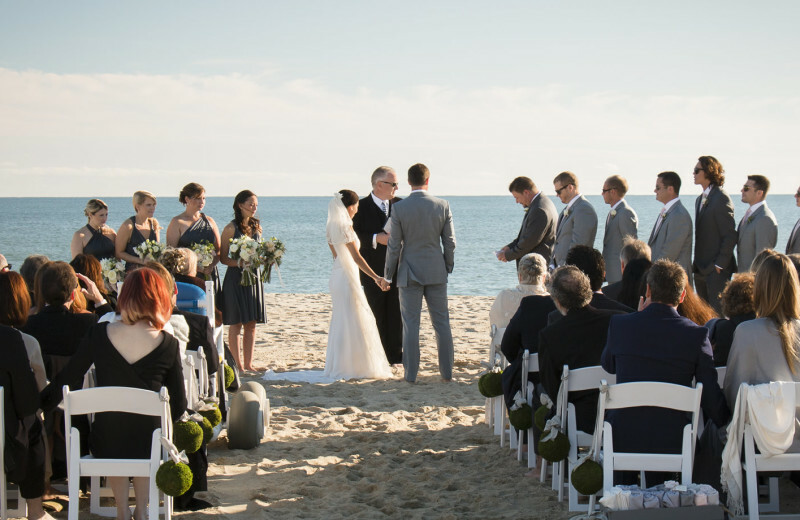 Plan your big day with Winnetu Oceanside Resort, the only wedding venue overlooking South Beach on Martha’s Vineyard. 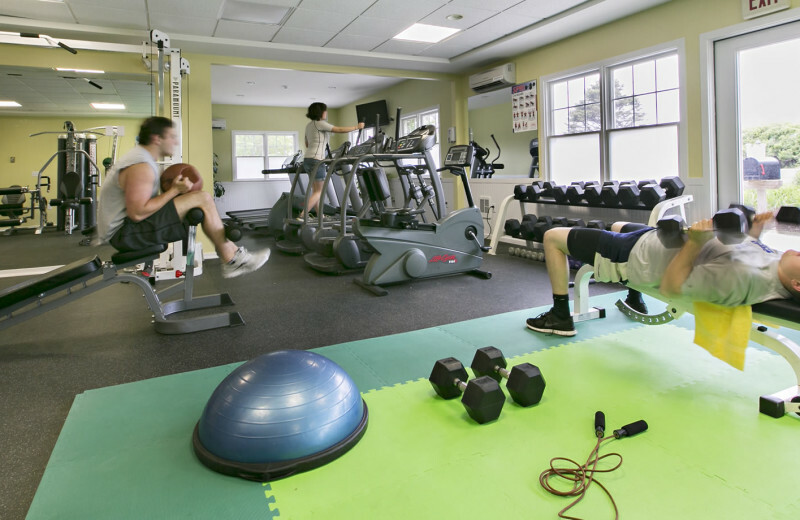 Winnetu's upper-level facility can accommodate up to 145 guests. 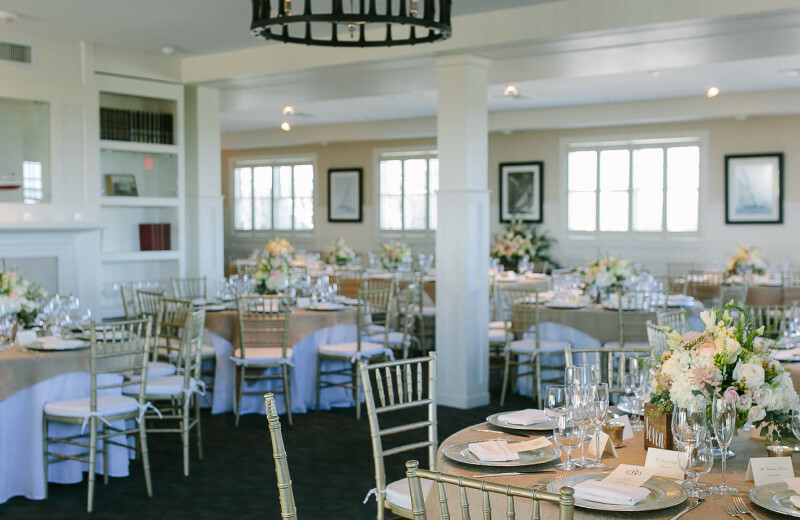 The banquet room has an adjoining outdoor, ocean-view deck that provides a unique indoor and outdoor wedding reception locale. 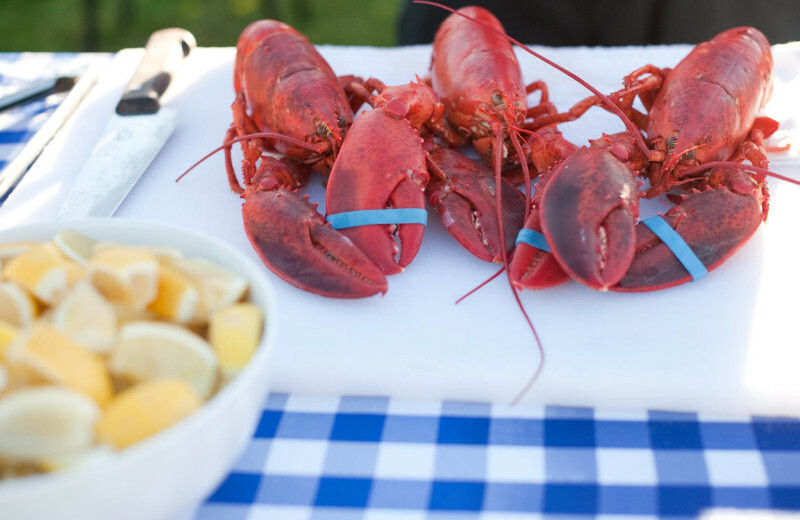 There are seven trusted fishing charters on Martha's Vineyard, so pack the tackle and head for the Massachusetts coast! 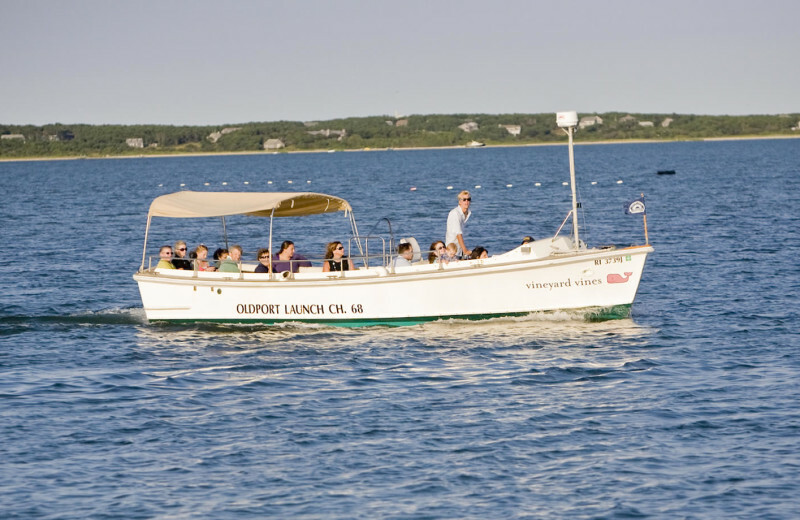 The town of Edgartown has two fantastic businesses: Wayfarer Charters and Great Harbour Sport Fishing Charters. Both can take you out onto the open sea to catch a large fluke, bonito albacore, striped bass, or bluefish. 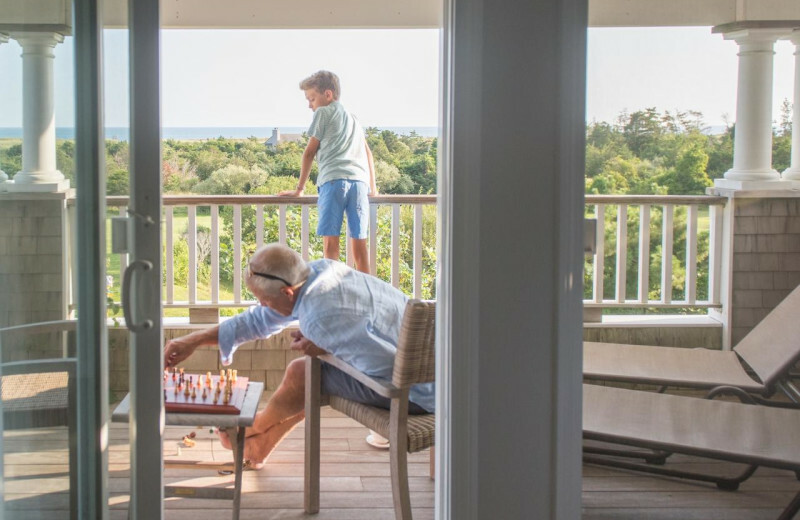 Once the two of you relax in the Adirondack chairs and watch the brilliant sun dip slowly into the Atlantic from the shores of South Beach, you won't regret making Winnetu Oceanside Resort your destination for romance. 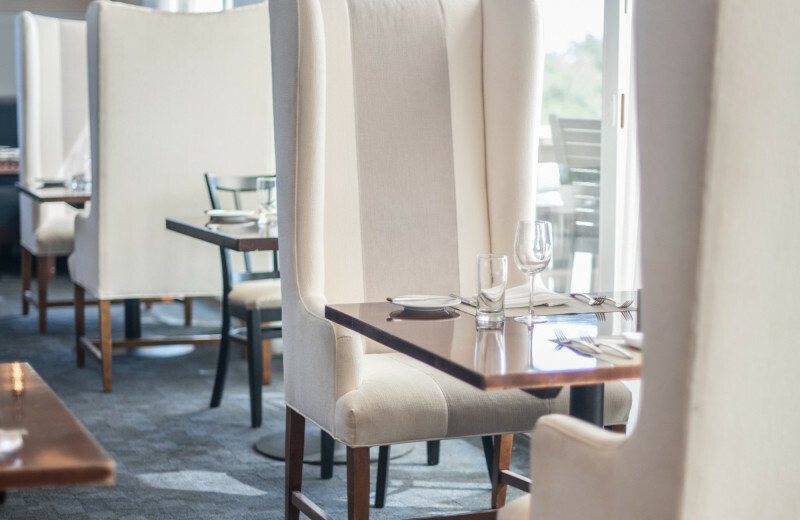 Luxurious accommodations, meandering pathways, and delicious cuisine only enhance your experience. 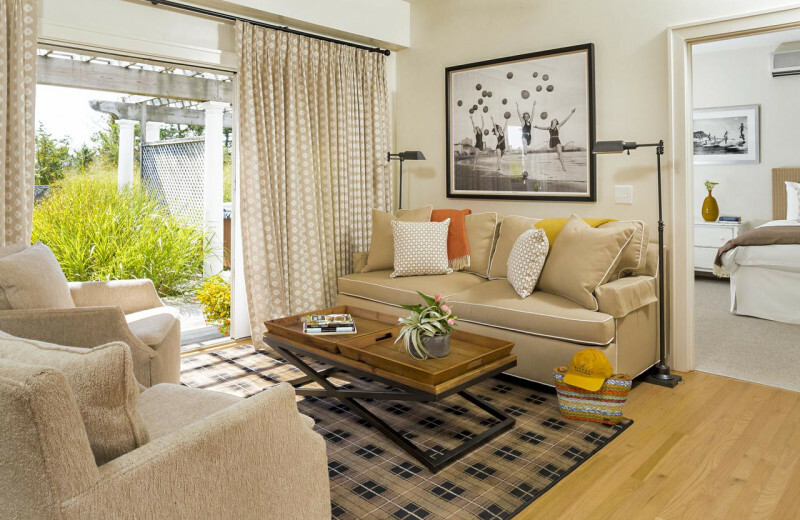 Choose from a luxury studio, suite, townhouse, duplex, or private home. 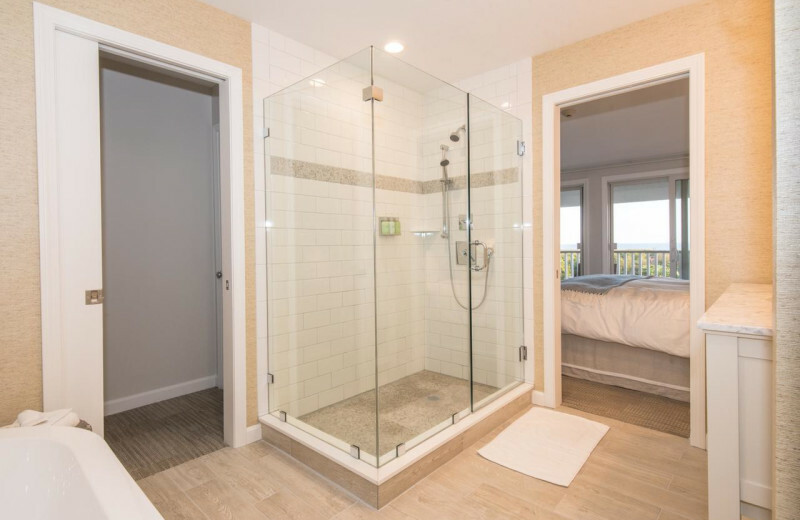 Many properties have full kitchen, washer, dryer, flat screen television, DVD player, deck, wireless internet scenic Atlantic Ocean views, and are walking distance to South Beach! 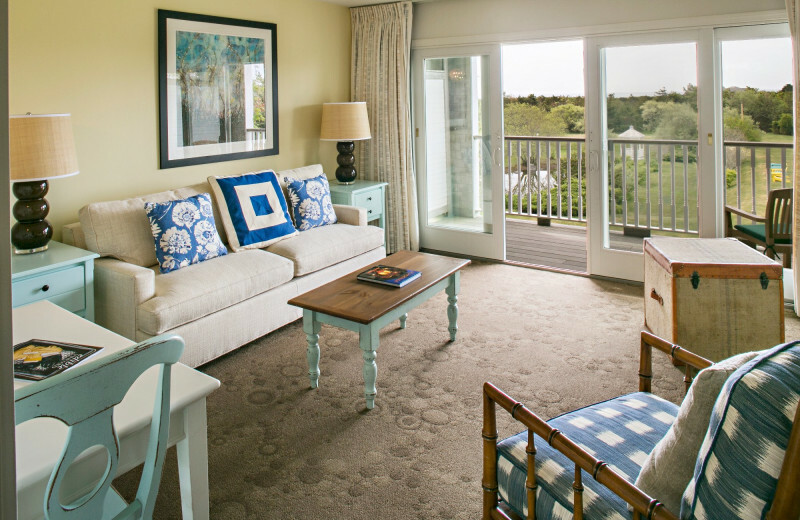 The beautiful furniture and decor match the breathtaking beach itself. 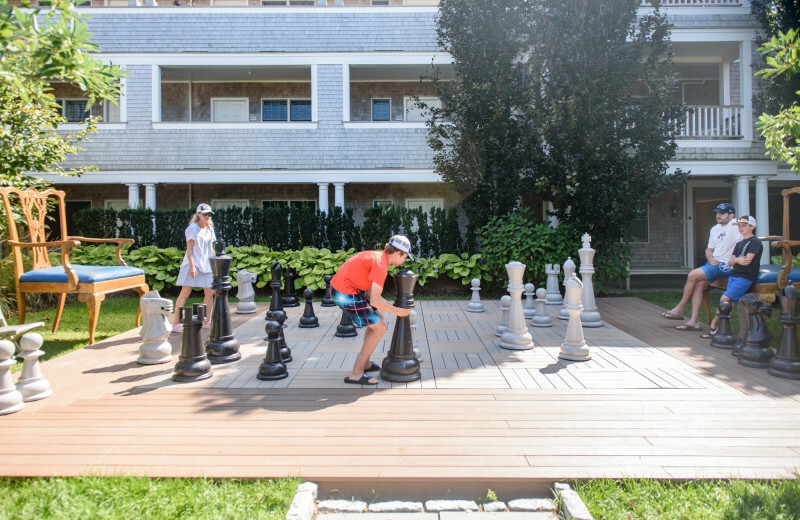 Spend a week at Martha's Vineyard in one of the best studios in South Beach, what more could you ask for? 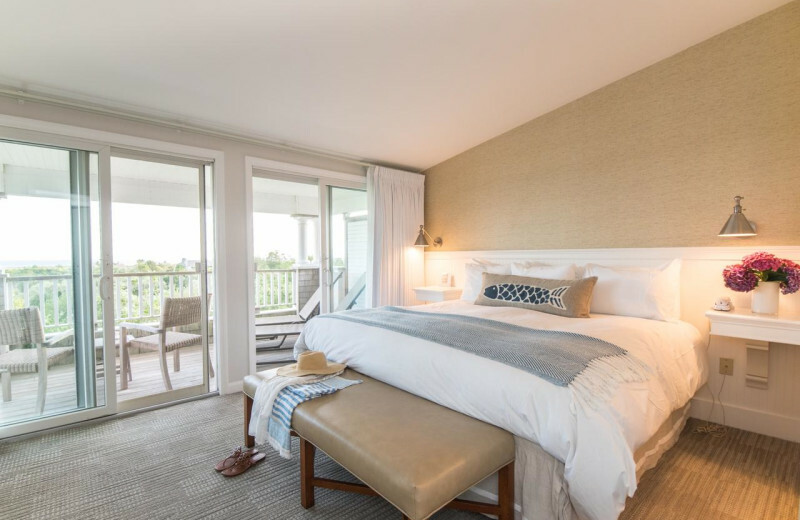 Choose the Garden Studio at Winnetu Oceanfront Resort, fully equipped with a private patio, luxurious king bed, spacious glass shower, wet bar, and high-end finishes. 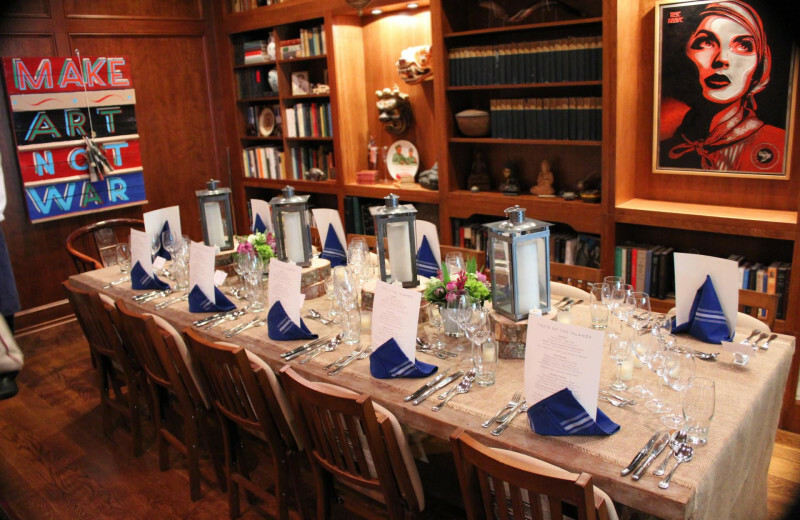 Martha's Vineyard offers some of the best dining, beach access, and nightlife on the eastern shore! 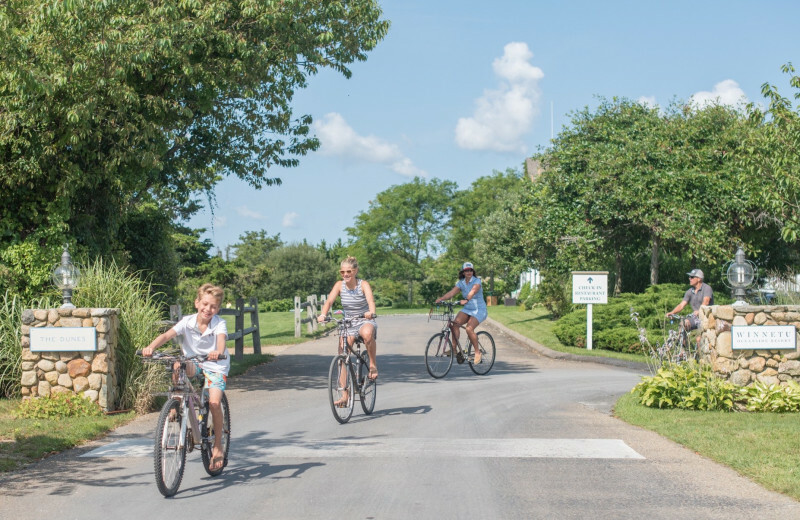 The Cape Pogue and Plum Point cottages are private, beautifully-appointed, and offer spectacular views of lush Martha's Vineyard landscapes. 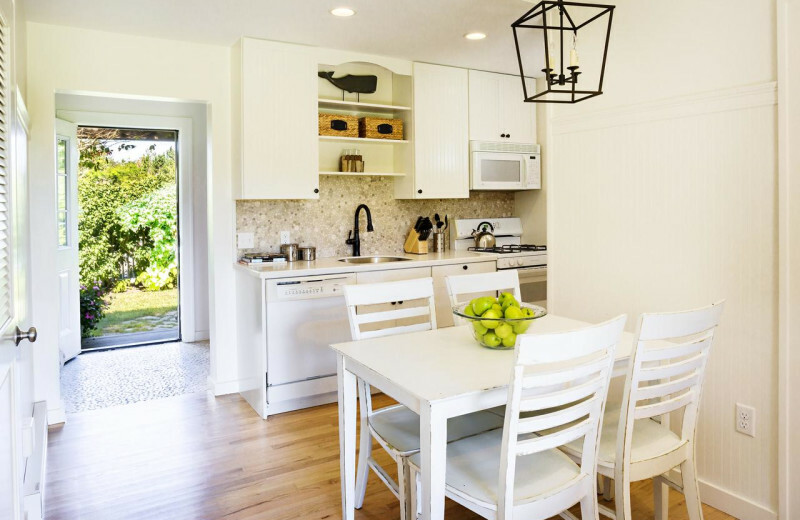 These two-bedroom, two-bath coastal cottages feature simply breathtaking design. 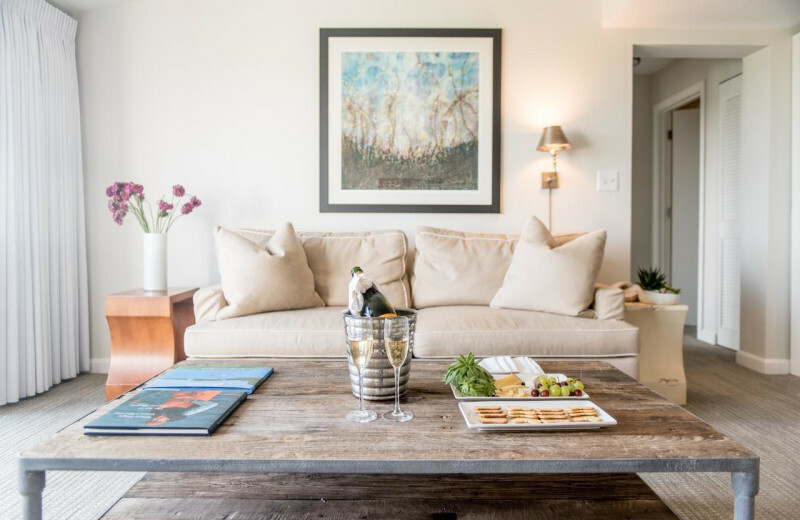 Choose from a private rooftop deck and outdoor hot tub or cathedral ceilings and a fireplace! 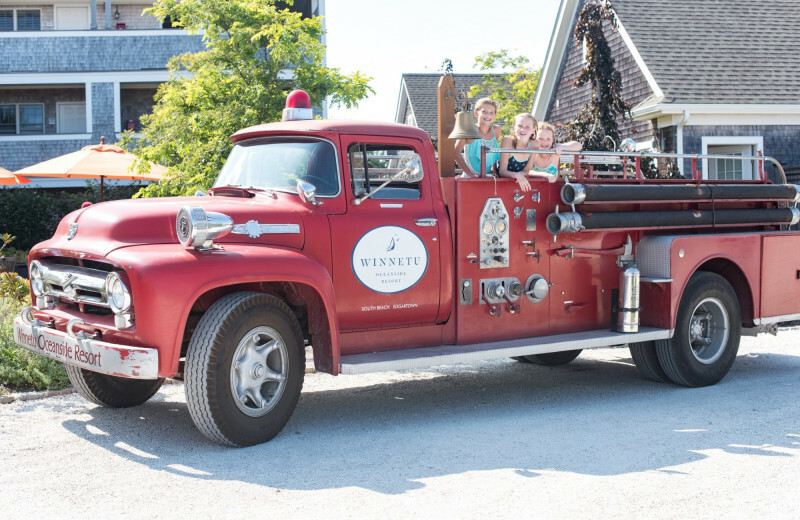 Winnetu Oceanside Resort's location on Martha's Vineyard affords you the carefree and secluded island lifestyle with the convenience of a big city hotel. 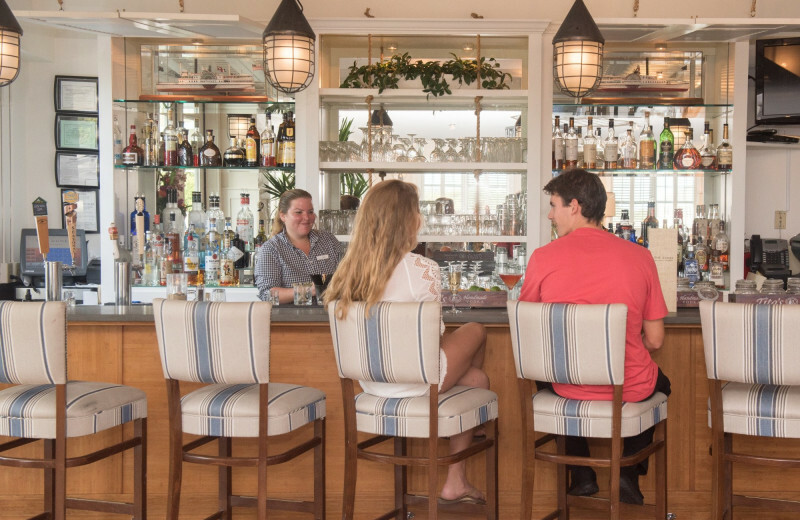 Only a ferry ride away from Falmouth, this charming destination lies among whale-era Greek revival homes and some of the best New England shops and eateries. 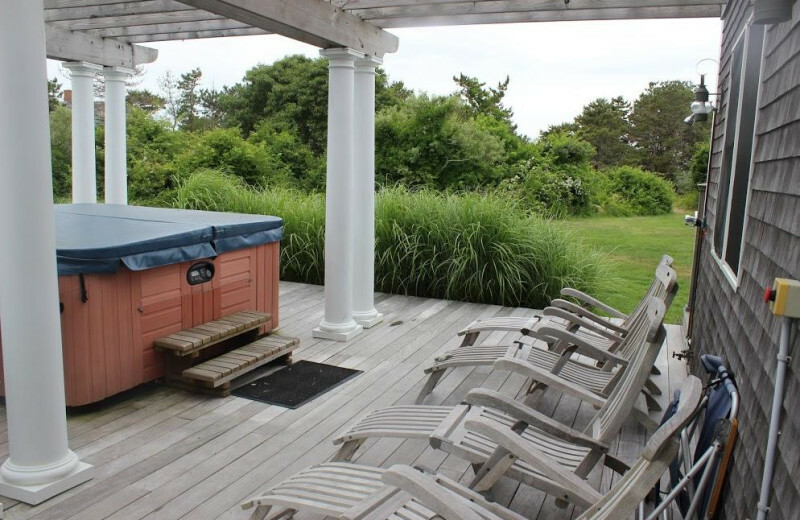 Relax and unwind with a full-body massage across the street from the Winnetu Oceanfront Resort at the "Activities Center." 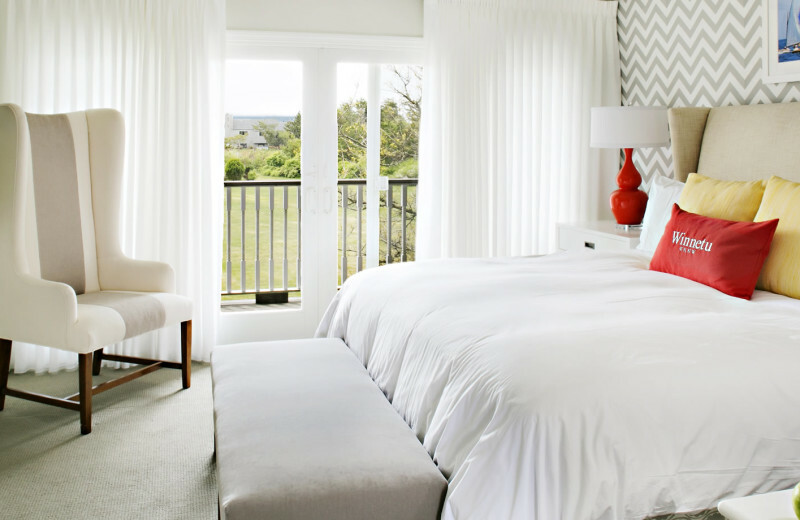 You can also reserve a private, in-suite massage. Massages can be book between 8-5 p.m., and are available all season. 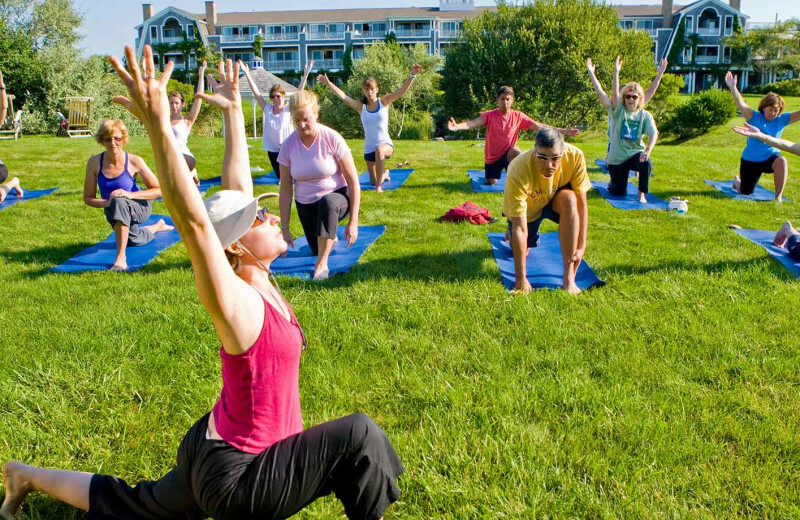 Winnetu's professional and experienced staff will be happy to help restore and invigorate your mind, body, and spirit. 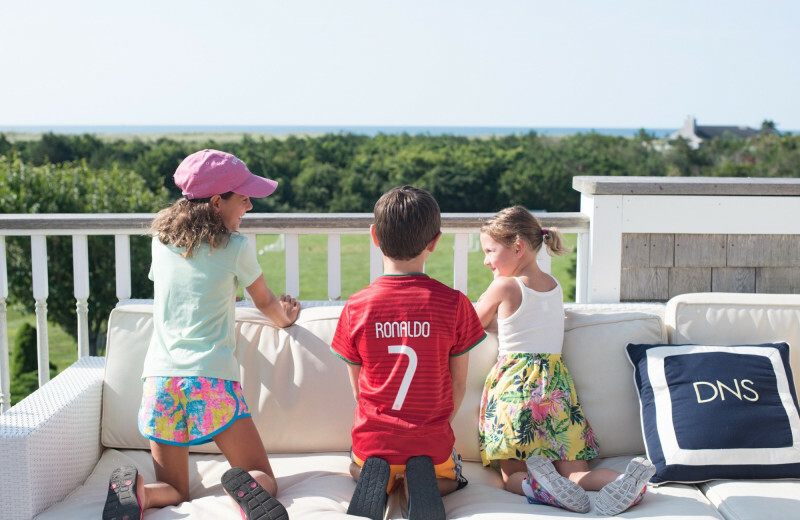 The spacious three to four-bedroom Winnetu Oceanside Resort town homes offer stunning dune and ocean views. 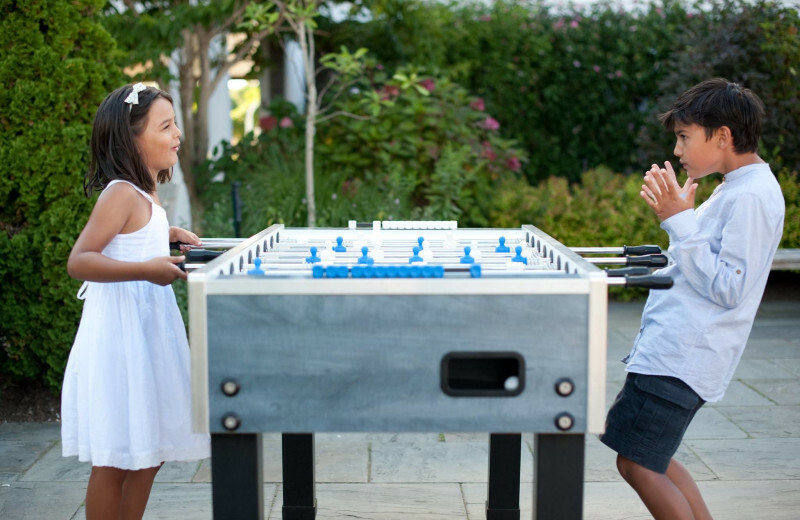 Ideal for larger groups or families, the homes feature conveniences such as laundry rooms and full kitchens. 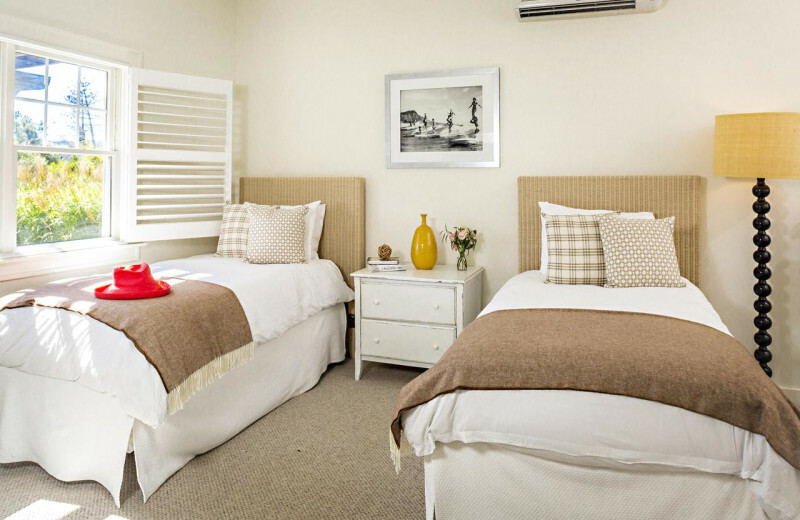 And you'll love the cool southerly sea breezes wafting through your windows at night.